If you're part of a digital marketing agency, you know client reporting is necessary—but when the grueling end-of-month reporting cycle kicks in and you need to push out several dozen reports, it can be hard to think of it as anything other than a grind. In reality, though, reporting isn't just another obligatory monthly task you do on autopilot—or if it is, it shouldn't be. When done right, reporting is an invaluable tool that benefits not only your clients, but your agency. It will strengthen your client relationships and make your work together more efficient and effective. Reporting helps clients see their progress, but it also provides proof, in the form of convincing concrete data, of the specific ways in which your agency is helping them build their business over time. In other words, good reporting can remind them just how valuable your agency is to them. Below, we'll tell you more about how the best agencies maximize their reporting processes to create stronger relationships and happier, more educated clients. May 10th was National Clean Up Your Room Day, and to celebrate, you could clean your actual space. But we think it’s also a great reason to clean up your digital space, your website. 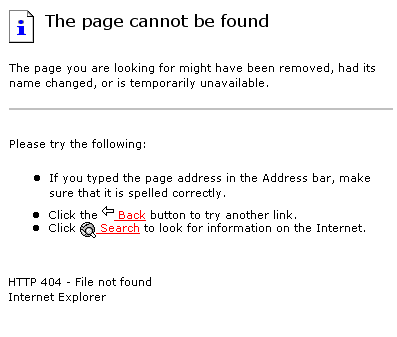 When it comes to website clutter there’s one issue that is common to every website, 404 errors. Broken links aren’t a severe website ailment, but they are a form of digital debris that can impact your website performance and user experience across channels. 404s in isolation can seem like no big deal, but their cumulative impact on a website can be significant. Business websites with pervasive 404 issues are almost certainly leaving money on the table and frustrating customers at the same time. In this post, we’ll review the 5 W’s of 404s and offer some tips for developing 404 clean-up plans.